Denna affisch från Sveriges Magi-Arkiv fick många samlare att jubla på Facebook! Kevin Connolly Vi har en vinnare! Richard Hatch Wow, that’s fantastic! 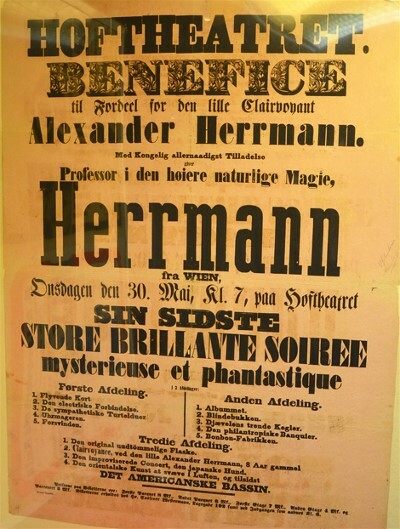 Christer, it appears to be a “benefit” for the “clairvoyant” Alexander Herrmann, given by his older brother, Compars (Professor Herrmann from Vienna). My guess would be that it is from the early 1860s but it can probably be precisely dated from the date and weekday on the playbill. what can you tell us? Marco Pusterla Tuesday 30 May could be 1865. The previous year you had 30 May on a Tuesday was 1854. Richard Hatch I’m leaning to 1854 now, as the third part describes “little Alexander Herrmann” as being 8 years old. He was born in 1844, so allowing for a showman’s exaggeration, the early 1850s is more likely than the mid-1860s. I wonder if this might be the earliest known playbill to feature Alexander? Verkligen fantastiskt Christer. Jag kunde ju följa ovationerna på fb, men det intressanta var ju att ingen sett den förut och att den ger så mycket information! Tänk om det är den äldsta affisch som omnämner AH! 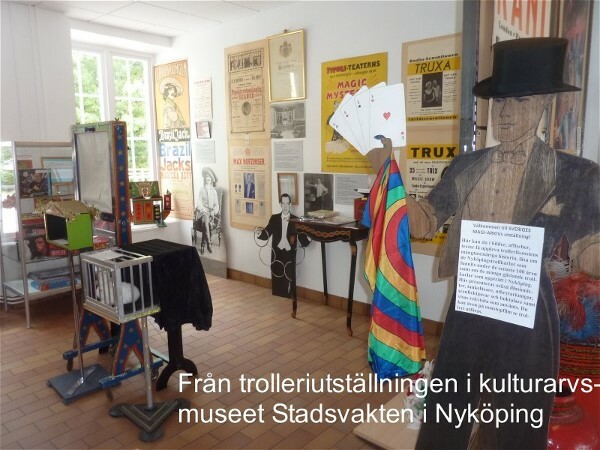 Spännande!